How Many Miracles do You Get? We were all born in utter freedom. Every limit you perceive has been learned, a tight and restricting cloak laid over the magnificence that you are. One of the most exhilarating explorations in life - really your only purpose - is to discover the illusory limits you have adopted, shine the light on them to reveal their untruth, and grow beyond them. Guilt - also learned but not true - tells us that we are selfish to want good things for ourself. It warns us that if we become happy we will somehow remove the happiness of others. Nothing could be further from the truth. Your happiness contributes to the happiness of others. Because you are a spiritual being, the energy you exude influences others more than your actions. Thus your genuine joy is your greatest contribution to humanity. Accepting your blessings does not diminish the quality of life for anyone else. The nature of blessings is to expand. The day before the program concluded, Sara told me, “I just did something I have never done before. I phoned the airline and ordered an upgrade to first class for my flight home. It cost me $875 - but I’m worth it!” “Congratulations,” I told her. After a man departed from the world, God was showing him around heaven. When the two passed a locked room, the fellow asked, “What’s in there?” “It would make you very sad to see what is in that room,” answered God. 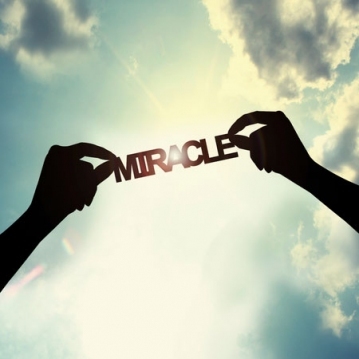 Alan Cohen is the author of A Course in Miracles Made Easy. Join Alan’s celebrated Life Coach Training Program, beginning January 6, 2016, to become a professional life coach or incorporate life coaching skills in your career or personal life. For more information about this program, Alan’s Hawaii Retreat, free daily inspirational quotes, and weekly radio show, or visit AlanCohen.com.